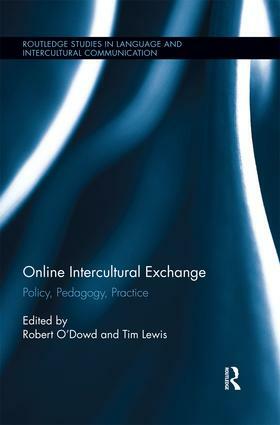 This volume provides a state of the art overview of Online Intercultural Exchange (OIE) in university education and demonstrates how educators can use OIE to address current challenges in university contexts such as internationalisation, virtual mobility and intercultural foreign language education. Since the 1990s, educators have been using virtual interaction to bring their classes into contact with geographically distant partner classes to create opportunities for authentic communication, meaningful collaboration and first-hand experience of working and learning with partners from other cultural backgrounds. Online exchange projects of this nature can contribute to the development of learner autonomy, linguistic accuracy, intercultural awareness, intercultural skills and electronic literacies. Online Intercultural Exchange has now reached a stage where it is moving beyond individual classroom initiatives and is assuming a role as a major tool for internationalization, intercultural development and virtual mobility in universities around the globe. This volume reports qualitative and quantitative findings on the impact of OIE on universities in Europe and elsewhere and offers comprehensive guidance on using OIE at both pedagogical and technological levels. It provides theoretically-informed accounts of Online Intercultural Exchanges which will relevant to researchers in Computer Assisted Language Learning, Computer-Mediated Communication, or Virtual Education. Finally, contributors offer a collection of practitioner-authored and practically-oriented case studies for the benefit of teachers of foreign languages or in other subject areas who wish to engage in developing the digital literacy and intercultural competences of their learners. "Compared to previous edited volumes on OIE… this book sheds more light on the recent university-level OIE projects. The text excels at providing breadth and sophistication in addressing discrete, task-based language learning pedagogies whilst keeping in mind a critically framed holistic perspective of developing intercultural communication competence. One of the book's primary advantages is that it explores highly diverse OIE practices, incorporating the roles of university education policy makers as well as OIE practioners, which will likely be useful for those planning for the future design and implementaion of an OIE project." "The major strengths of this volume are epitomised by the remarkable attempts at the external and internal integration of OIE. External integration is represented by chapter author's efforts to promote a tripartite integration of policy, pedagogy and practice in OIE (as the volume’s sub-title rightfully suggests). Dedicated chapters (De Wit, Guth, Wilson, Tudini) provide valuable insights into the two way contribution between institutional policies and OIE, highlighting the latter as a worthy endeavour in the internationalisation agenda." "…the book in question stands out in both fields, OIE and internationalization, as a recent and valuable contribution. Researchers, teachers, and practitioners can benefit from an enlightening text that is fundamental for education in general and language teaching in particular." Robert O'Dowd teaches EFL and trains teachers at the University of León, Spain (www.unileon.es), where he is Director of International Training. He holds a PhD from the University of Essen. Tim Lewis has taught Languages and Cultures since 1980 in London, Sheffield and elsewhere. He is currently Director of Postgraduate Studies in the Centre for Research in Education and Educational Technology at the Open University.